The point of this drink is to look pretty. Blending egg white and gin together makes such for such a creamy foam with all that air beaten into it. Despite the crushed ice, it is light and fluffy and the small amount of grenadine helps to keep it balanced and a pretty shade of pink. I used a bold gin in this recipe because there are so few ingredients and crushed ice can spread most gins pretty thin. 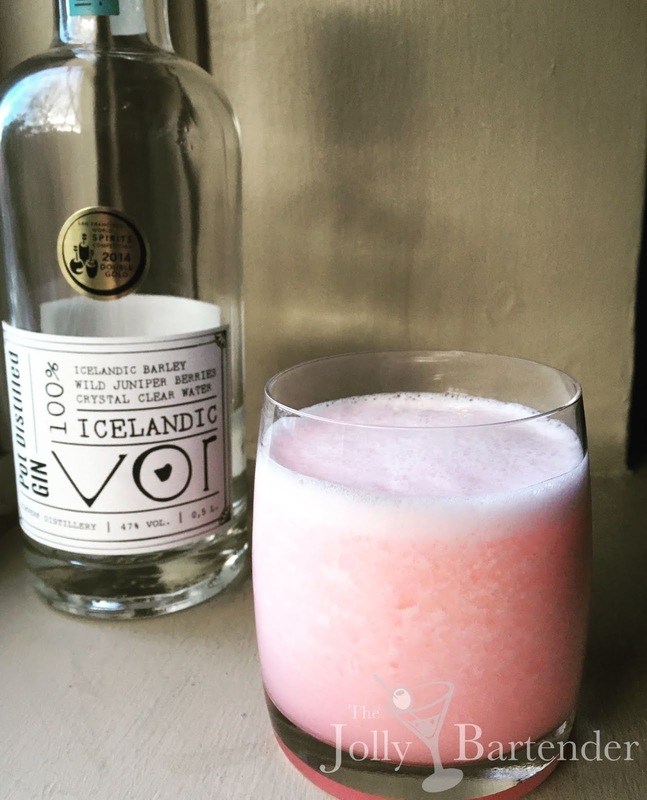 I like that Icelandic Vor has a bold barley taste that is so prominent that it is listed on the bottle as one of the botanicals. Combine all ingredients in a blender with ice. Blend until smooth and pour into a chilled Old Fashioned glass.